Should Skyview Elementary School be closed permanently? 3 years and done? Should it have been built in the first place? Opened in 2006, Skyview (consolidated) Elementary sits far from residential areas and uphill from Morgantown Industrial Park. Think about that for a moment. What a brilliant location for the lungs of young children! Now, with an impending new road and upgraded water and sewer lines, the Industrial Park is set to expand. First, such school siting is flat wrong in more ways than one as we have documented in detail at this site. Schools and schoolchildren benefit from being located in neighborhoods. And vice versa. During such an incident the previous year apparently, the students were not evacuated and “had to deal with it.” One wonders (and the School District should test for) what difficult-to-detect toxins on a more regular basis pass into the school ventilation systems there above the soon to expand Industrial Park. 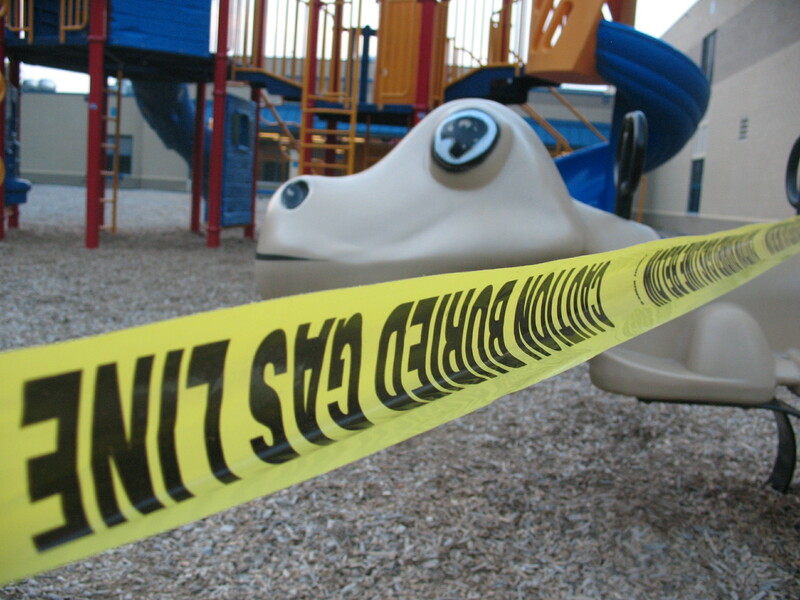 Now two of the three playgrounds at Skyview are closed and wrapped with yellow hazard tape stating: “CAUTION BURIED GAS LINE BELOW”. Playground Closed. To be re-opened? 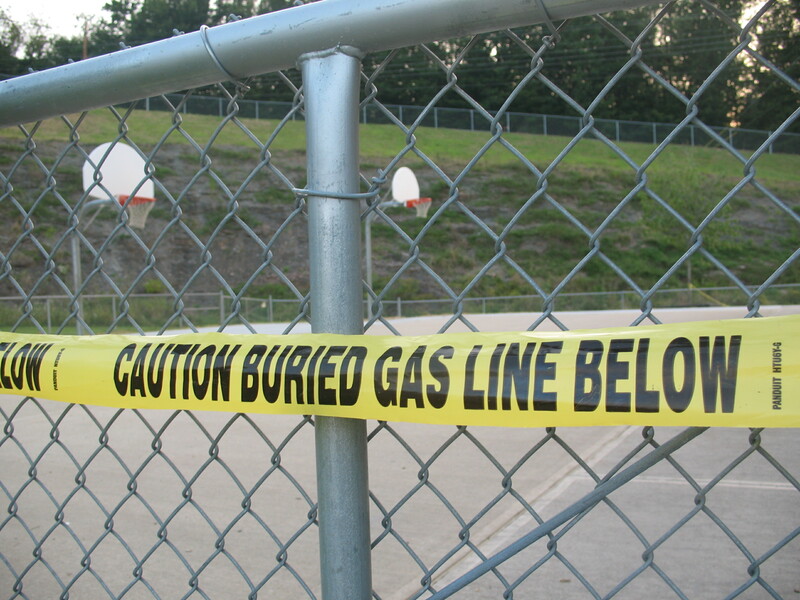 What size of gas line, exactly, and why is it buried near an elementary school (or under it?) and under its playgrounds? In future posts, we will look more at the pattern of other ill-advised recent school building sites: Mylan Park Elementary School, University High School (currently in the news), and again the proposed 705/119 intersection green school versus a revitalized Woodburn school. « Green School “Kickoff” Meeting – Who Pays?